The Monster High girls are going back to school, ready for new adventures! 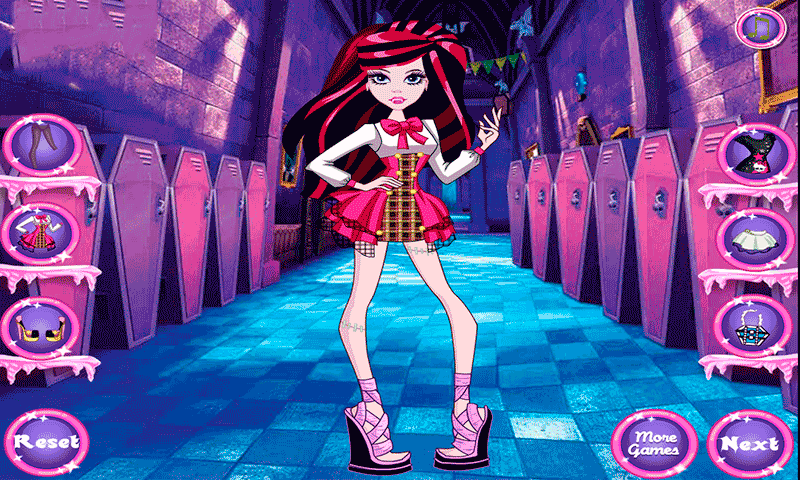 Draculaura wants to impress everyone with her look on the first day of school, but she needs professional help. 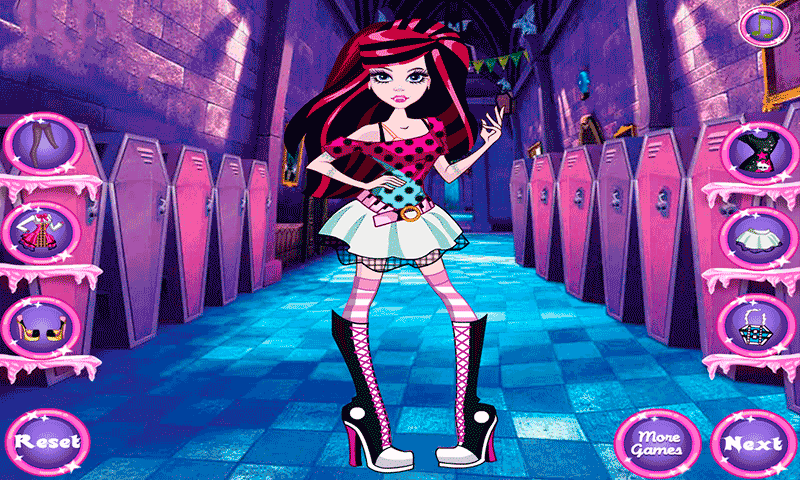 Join her in this cute new Monster High game and help her get ready. Start with her make-up. Make her look flawless and do not forget to style her long hair. Take a look through all her clothes and combine them to get the perfect school outfit, but that is not all! Draculaura cannot go to highschool without a proper schoolbag. Help her decorate it! You have all sorts of accessories and Monster High themed patterns. Have fun with Draculaura, the sweetest Monster High girl!